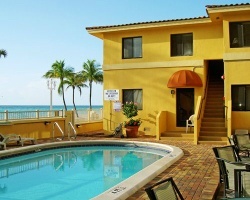 The *Hollywood Sands Resort* in beautiful South Florida awaits! This exciting beachfront property offers guests condominium-style accommodations complete with spacious living areas and an eat-in kitchen for maximum vacation enjoyment! The Hollywood Beach area is famous for its fabulous dining, excellent shops, and the unique and memorable experience of the Boardwalk. Many attractions are only a few minutes walk from Hollywood Sands Resort, while others are just a few minutes by car. Have a fun and memorable stay while at the Hollywood Sands Resort! 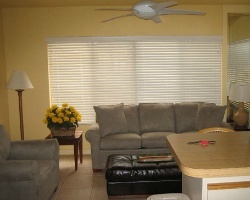 Enjoy staying close to many shops, restaurants and more! Week 33 every year! Inquire for details!